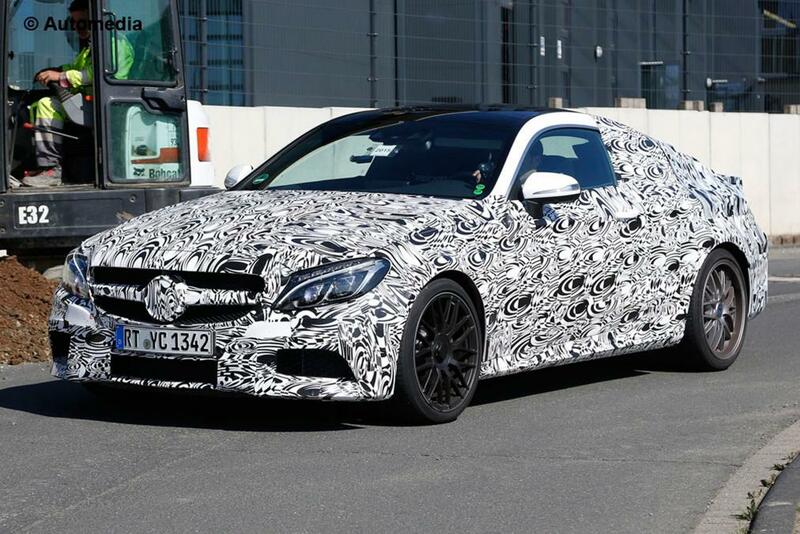 If you’re a fan of the latest Mercedes C 63 AMG saloon but feel all that noise and pace deserves a more aggressive look, you’ll soon be pleased to see that Mercedes is set to launch a sleek coupe version at the start of 2016. 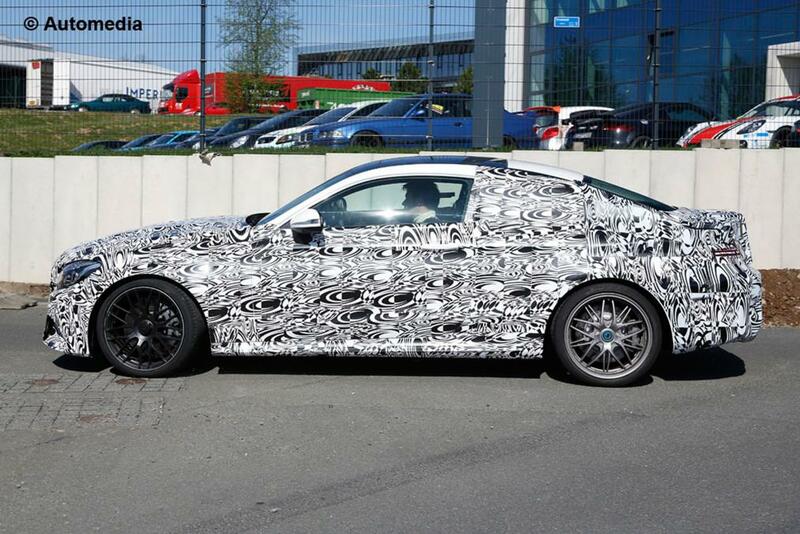 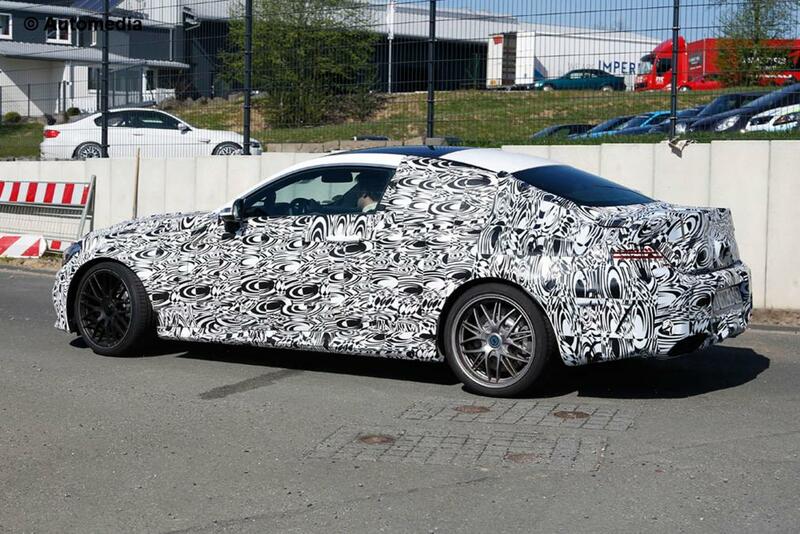 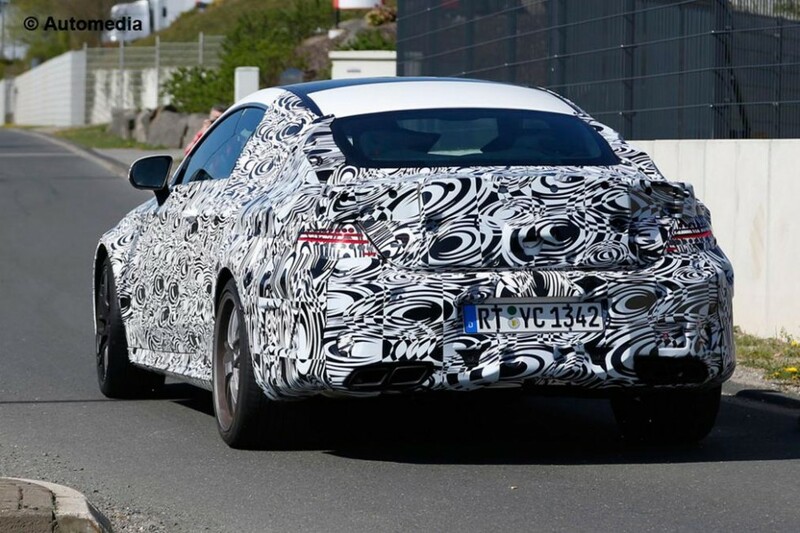 Seen here being put through its paces by engineers, the hot two-door will hope to replicate the success of the BMW M4, which is predicted to sell more than the M3 saloon over time. 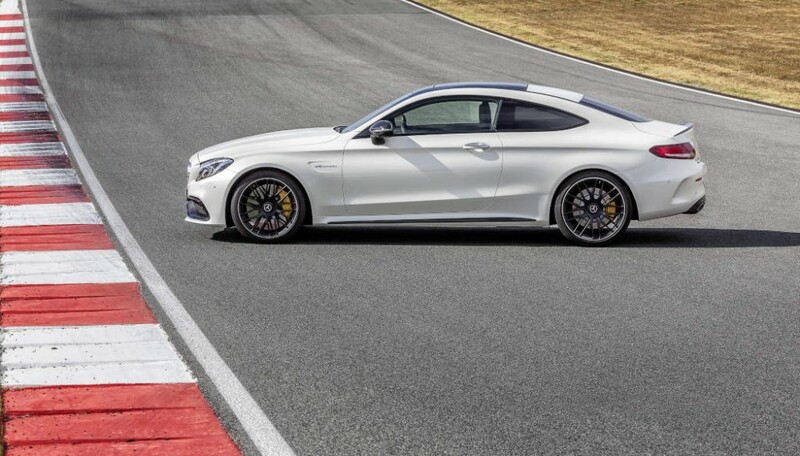 The C63 has always sold better as a coupe, too. 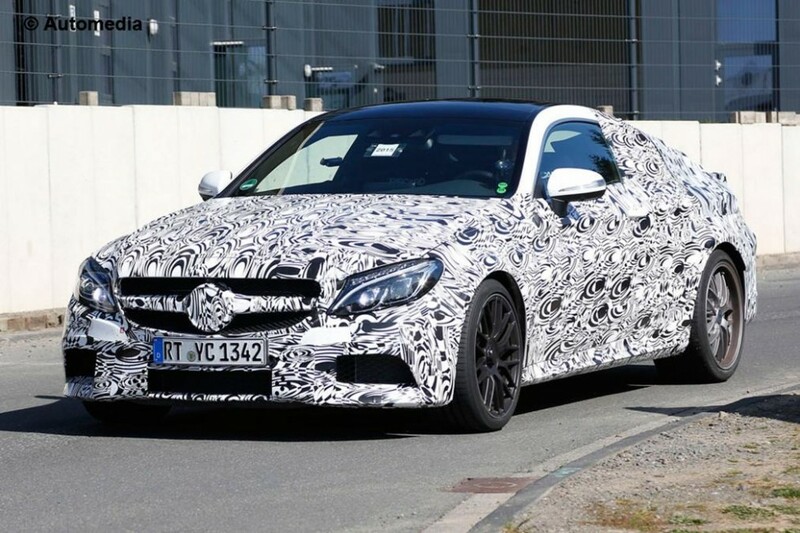 Although under heavier disguise than the standard C-Class Coupe we previously spotted, the muscular styling add-ons of the C63 should suit the sleeker bodywork. The rear profile is inspired by the flagship S-Class Coupe, with a curvy rear and wider stance. 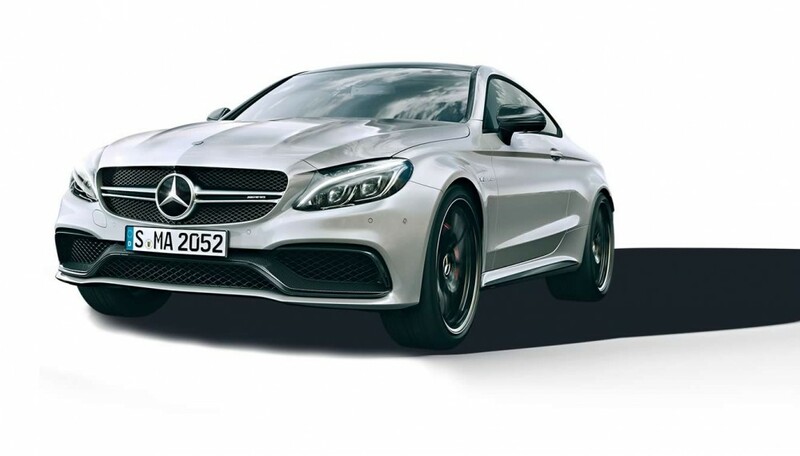 The powertrain will remain identical, but that’s no bad thing – the ‘base’ C63 saloon has a very competitive 469bhp, while the S variant gets a whopping 503bhp and 700Nm of torque. 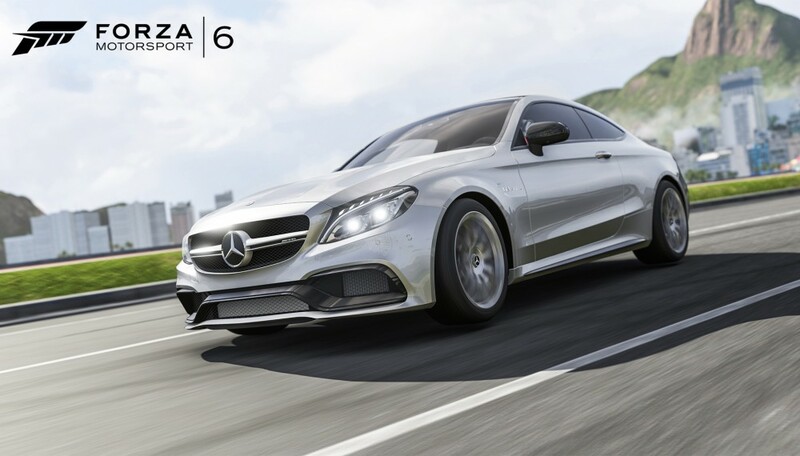 It should be able to complete the 0-62mph sprint in just under four seconds. A convertible version is also on the horizon.